Gehry's conversations offer portraits of an astute listener as well as talker, an architect as aware of his flaws and limitations as of his virtues. 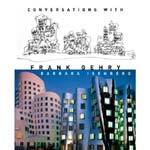 This selection of Barbara Isenberg’s Conversations With Frank Gehry (Alfred A. Knopf, 2009), published with more than 200 photographs in Knopf’s typical classy fashion, represents a major advance in that uneven book genre of “Architect Talks.” For comparison, look at Gehry Talks: Architecture + Process (Universe Publishing, 2002) in which interviewer Mildred Friedman erases her questions and the interview context, offering solely Gehry’s monologues, resulting in a book-length set of uninterrupted public speeches. 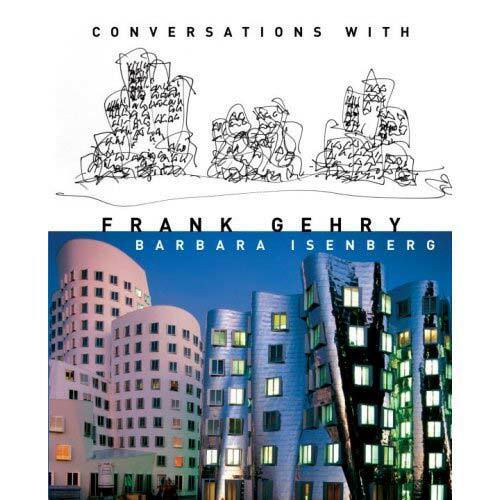 In contrast, Isenberg not only keeps her sharp questions front and center, reminding the readers that these are intelligently interactive interviews, but includes (whenever apt) Gehry’s non-verbal expressions during interviews as a sub-text. Play in terms architectural projects is a high-stakes play, like pro sports in terms of millions of dollars hanging in the balance. And as Robert Campbell, architecture critic for The Boston Globe, noted, daring architects and daring clients working together enter into a complex tango of expectations and misunderstandings. So while Gehry doesn’t have much to say about MIT’s suit against his firm for “design and construction failures” surrounding the Stata Center – no surprise since litigation isn’t the time to publish your legal defense – it is worth thinking about Gehry’s sense of client relationship as high-risk play, but play entailing intense responsibility to clients and the larger community, a responsibility Gehry actualized through his pro bono work for health centers. This is precisely the point John Silber and his NeoCon friends like Tom Wolfe and Roger Kimball ignore in their cartooning of Gehry as a wholly narcissistic and indulgent prankster. In Silber’s accusations about Gehry in Architecture of the Absurd: How “Genius” Disfigured a Practical Art (Quantuck Lane, 2007), Silber can’t come to grips with Gehry’s buildings as the creative exercise of his play with clients and their play with him. Since Silber and colleagues wear their proto-capitalist ideology on their sleeve, they have to somehow project onto Gehry the intimidating selfish megalomania that they might discover by looking at themselves in a mirror in order to explain how Gehry has thrived on the open-market. Ada Louise Huxtable deserves mucho thanks and praise - but other questions moving us to a new flavor of criticism have to be asked. Tip #13: Try the spectacular 2-step program to cut fat and reduce telltale signs of greenwash. Tip #12: Cogent communicators exploit opportunities offered by interruptions. Tip #11: Effective communication evolves out of cross-reflective details. Tip #10: Use paragraph spacing in writing and pauses in conversation to promote "out of the box" thinking. Tip #9: Work with your clients' contradictions to discover possible solutions. Tip #8: Write dialogues engaging materials and processes with clients. Tip #7: Write a site analysis using words referring to senses beyond sight.